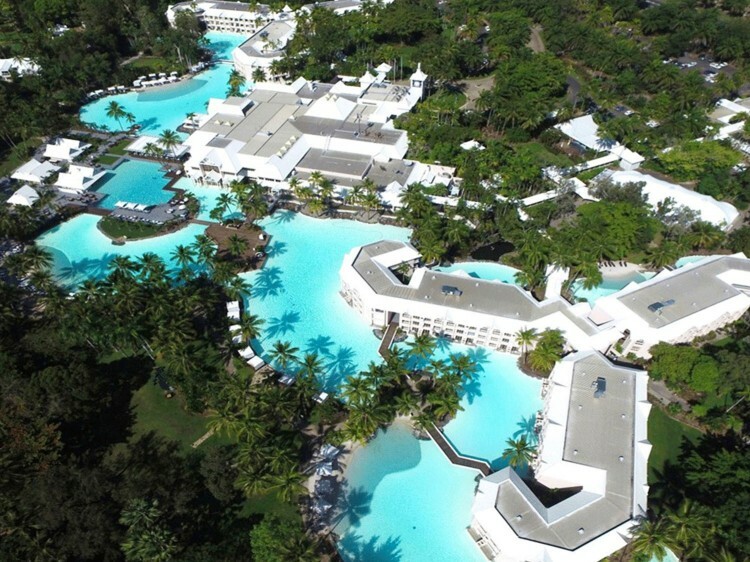 Surrounded by 147 hectares of lush tropical gardens, the recently revitalised Sheraton Grand Mirage Port Douglas offers luxury beachfront accommodation, an 18-hole championship golf course and 2 hectares of salt water swimming lagoons, the resort is a popular Port Douglas holiday accommodation choice. Sheraton Grand Mirage Port Douglas also enjoys an amazing range of onsite facilities including 5 acres of swimming lagoons, a freshwater swimming pool, a dedicated children's pool, 25 metre lap pool, onsite dining options, a gym, 7 floodlit tennis courts, an 18-hole golf course, tour desk, spa, sauna and much more. The resort also fronts the famous Four Mile Beach, offering a great range of activities or just a lovely place to relax. The newly transformed rooms and suites are made up of 2, 3 and 4 Bedroom Villas, Studio Suites and Hotel Rooms and feature air conditioning, TV and entertainment packages, WiFi access, a minibar, tea and coffee making facilities, designer products and private balconies with views of the gardens or lagoon pools. 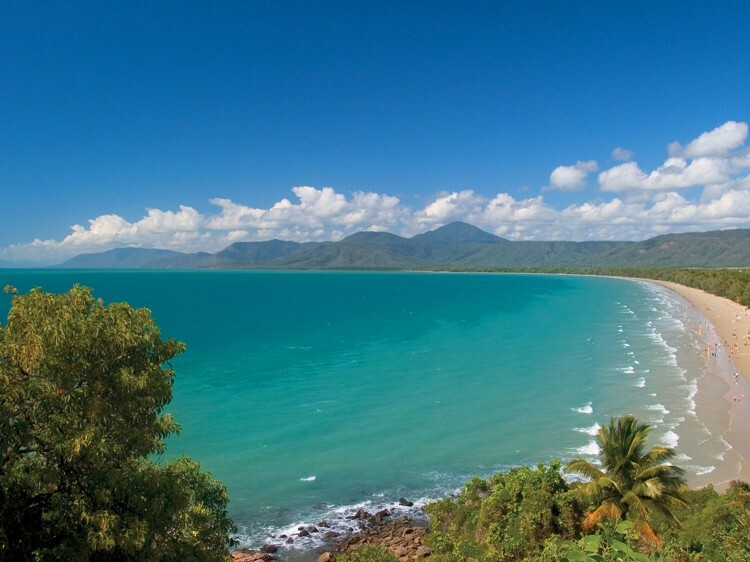 Couples and families alike are well catered for with this fantastic array of Port Douglas accommodation options. With a scheduled shuttle service into the main town centre you are a short ride away from boutique shopping, art galleries, cafes and of course the departure points for cruises and tour to the Great Barrier Reef and Daintree Rainforest. 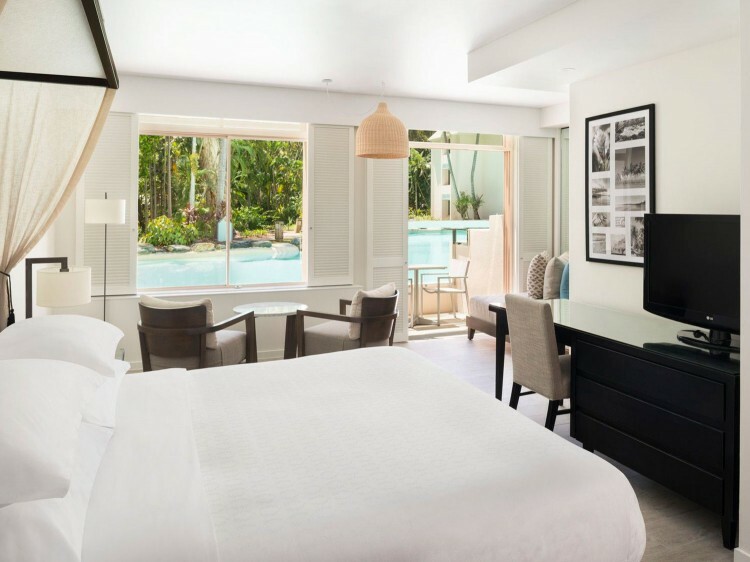 Base yourself at Sheraton Grand Mirage Port Douglas for your next romantic getaway or family holiday and discover the beauty of this amazing part of the world. Feast Restaurant - the flavourful explosion of authentic tastes will take you on a culinary journey. Ever popular buffet dining features modern Australian & International menus focusing on local produce from the reef to the Rainforest. International favourites, roasts, grills, seafood, fresh fruits and salads are a selection of the endless array of cuisine choices inside the fresh, vibrant yet relaxing atmosphere that is perfect to showcase creative cookery. Lagoons Bar - find a refreshing selection of exotic cocktails and flavourful temptations at the Lagoons Bar. Swim up to the bar or order from your sun lounge or Cabana by the lagoons whilst soaking up the tropical North Queensland sunshine. Indulge in a light lunch under the Gazebo while enjoying the beautiful lagoon outlook or direct ocean views. Harrisons Restaurant - Colonial in design, Harrisons offers a unique experience for any occasion. Enjoy cocktails and snacks in the lounge bar, lazy lunches and romantic dinners on the poolside Terrace or beneath antique chandeliers in the main air-conditioned dining room. Harrisons was awarded its ninth Chefs Hat in September 2017 by the Fairfax Good Food Guide, making it Port Douglas’ only hatted restaurant. Overlooking the resort's tropical gardens featuring king or 2 double beds with, flatscreen TV, bath and shower, interconnecting available. Room size: 42sqm. Located on 2nd and 3rd floors overlooking the resort lagoons featuring king or 2 double beds, flatscreen TV and bath and shower. Room size: 42sqm. Ground floor room featuring direct access to the lagoon pools. King or 2 double beds, flatscreen TV, bath and shower. Room size: 42sqm. Oversized Suite category room on the 2nd and 3rd floors overlooking the resort's tropical gardens. Featuring both private and/or exterior balconies, king size bed, flatscreen TV, walk in shower and an oversized bathroom with double vanity. Room size: 52sqm. Featuring separate lounge, dining and kitchen areas with spacious entry, flatscreen TV and private balcony overlooking the lagoons. The main bedroom has a luxurious ensuite bathroom featuring sunken bath and jacuzzi spa. Option of an interconnecting room available. Room size: 152sqm. Split-level, self-contained villas featuring two, three, or four bedrooms and are positioned to the north and south of the resort. Each villa is individually decorated featuring a fully equipped kitchen and laundry, sunken lounge, flatscreen TV, separate dining area and private terrace. The master bedrooms feature a private balcony and en-suite with Jacuzzi spa bath. The villa condominiums also feature private villa pools. 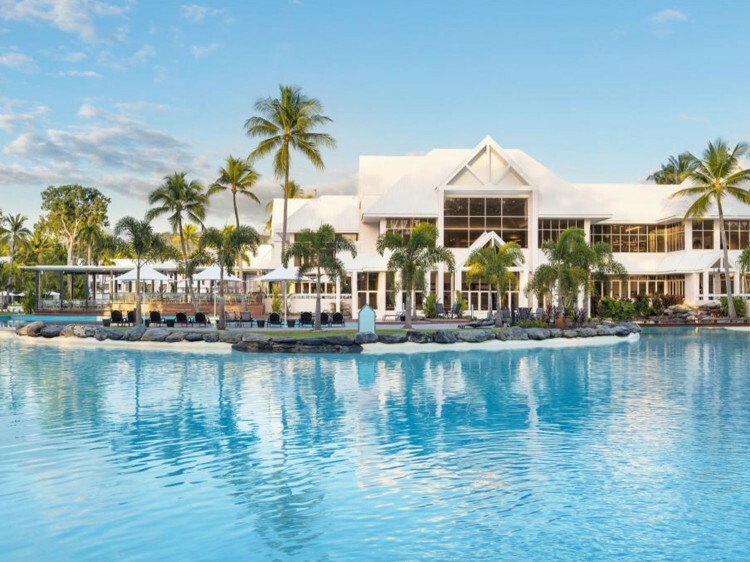 Sheraton Grand Mirage Port Douglas: Lagoons, Luxury & Lunch!